-Easy to make a left or right hand lock on a gate. 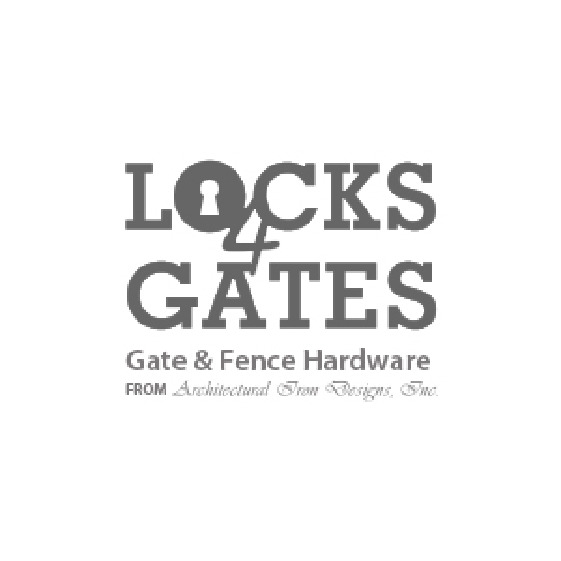 - Lockbox width of 3 1/2"
Ornamental design to accent an ornate gate or dress up a gate. Cast aluminum lockbox with stainless steel internal components. Manufactured with strict quality control to ensure lasting quality and smooth function. Locinox quality for lasting function and superior aesthetics. This lock goes well in places where a finer look is needed. House gates, horse barns, and wrought iron fence are all fine examples of where this lock would be a perfect fit.